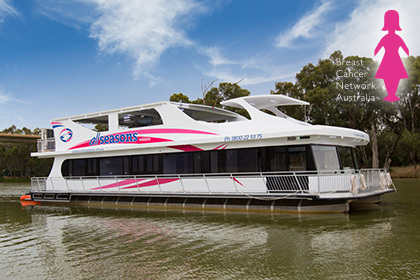 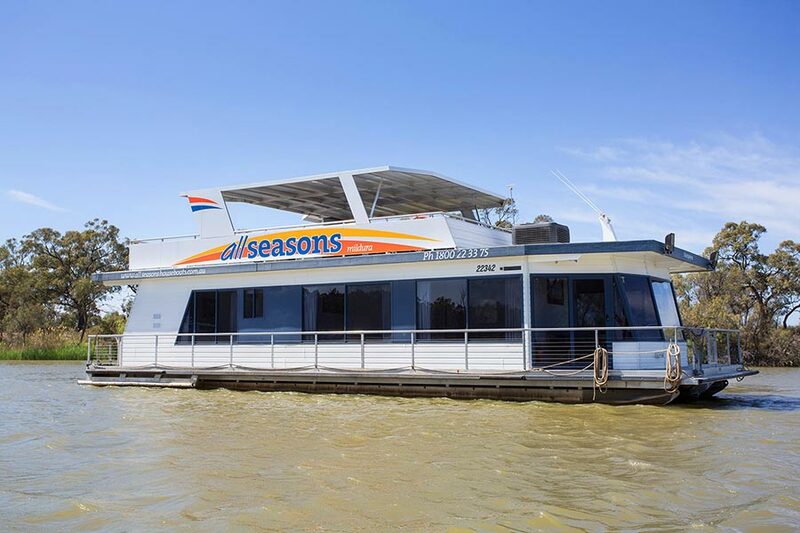 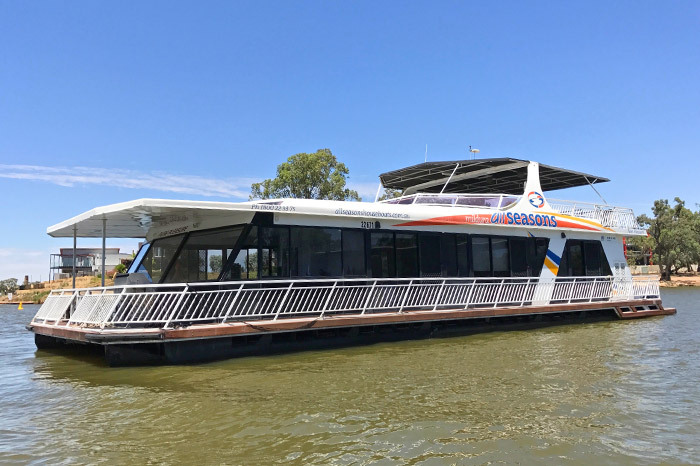 All Seasons Houseboats, judged as the Best Unique Accommodation in the 2018 Murray Riverina and 2017 Victoria Tourism Awards and Hall of Fame Winner! 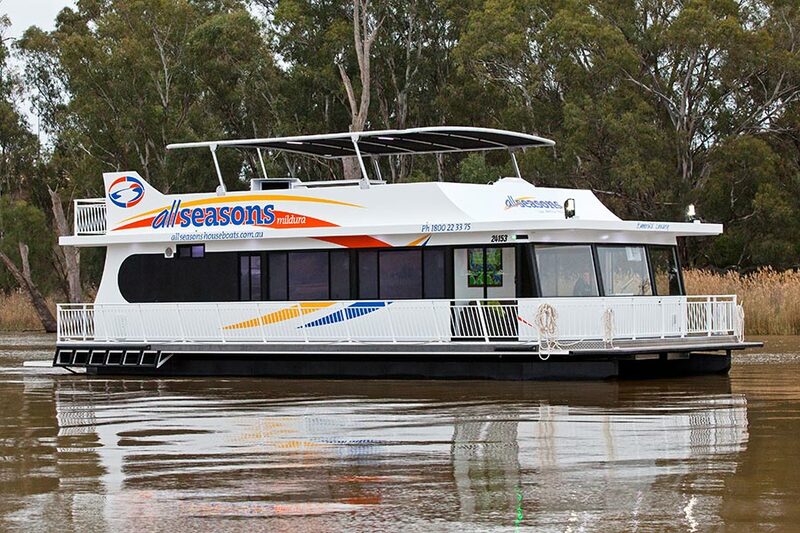 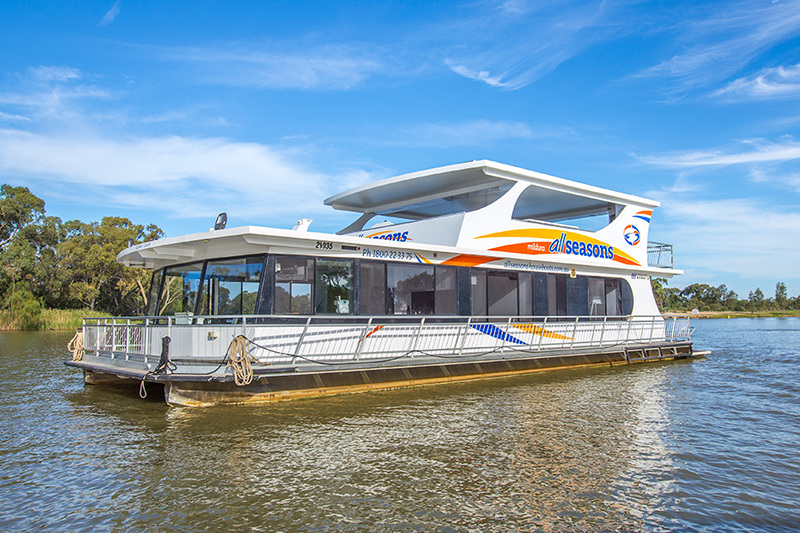 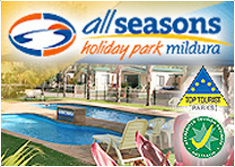 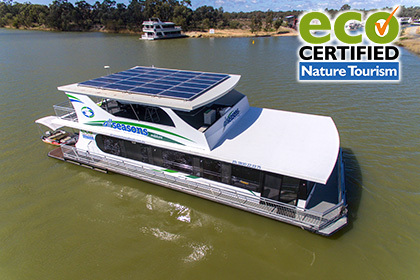 The best way to discover the Murray River is on your own All Seasons award winning houseboat. 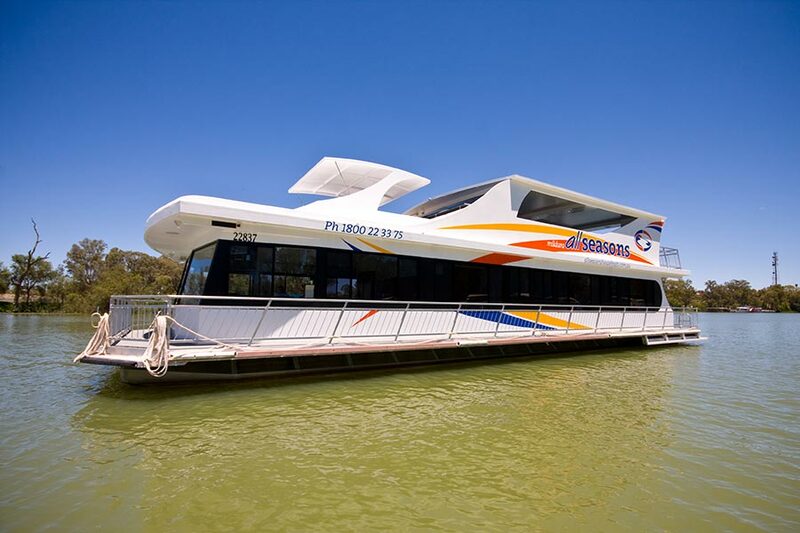 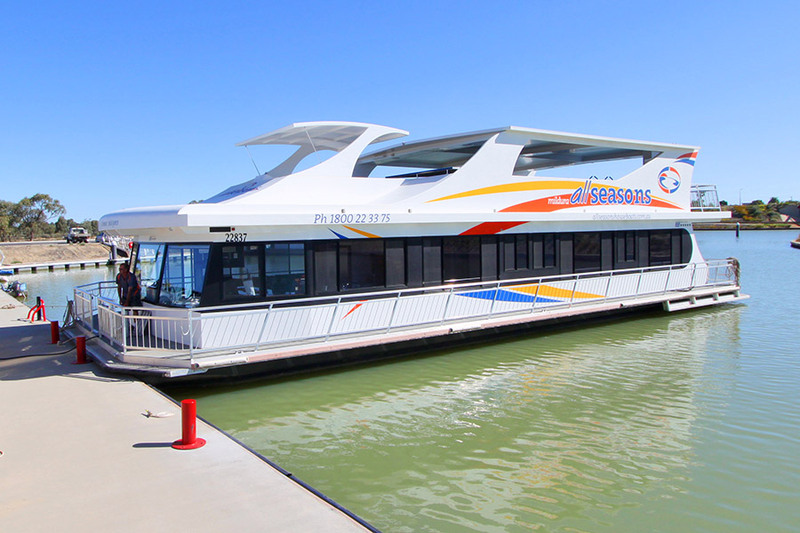 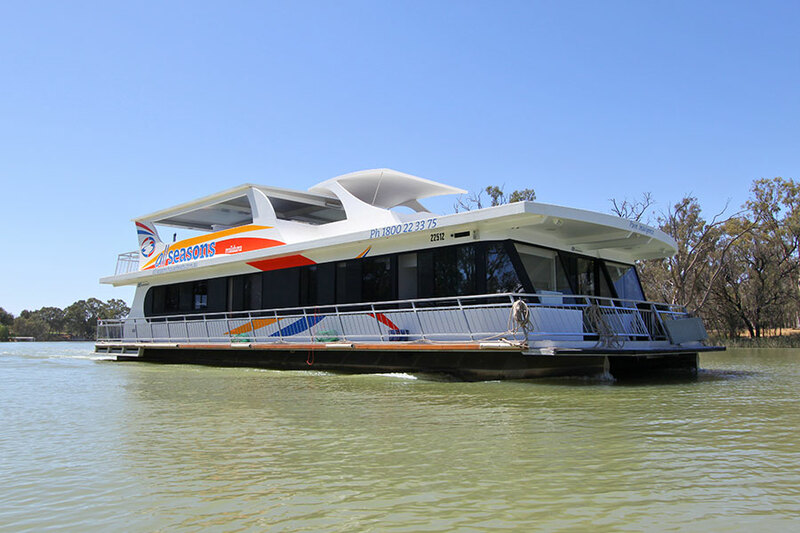 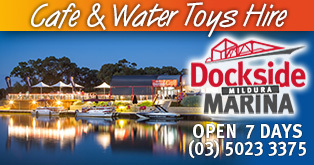 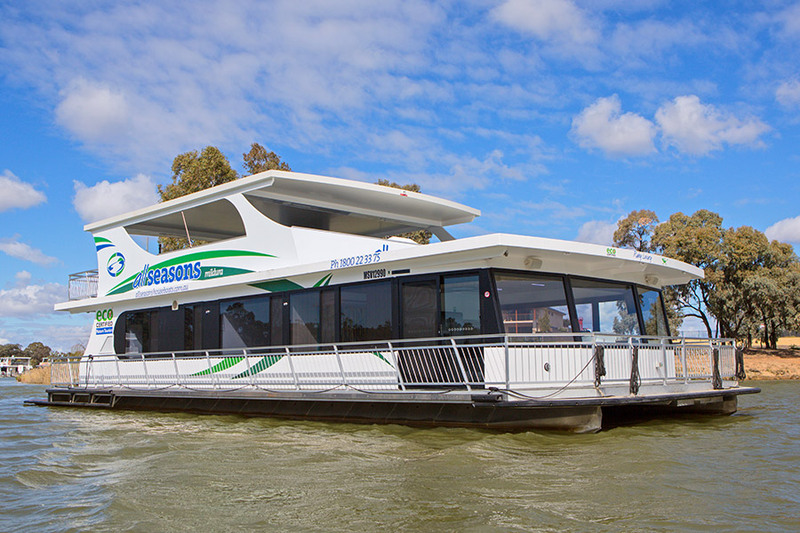 Conveniently located in the Mildura Marina you can easily begin your journey in style. 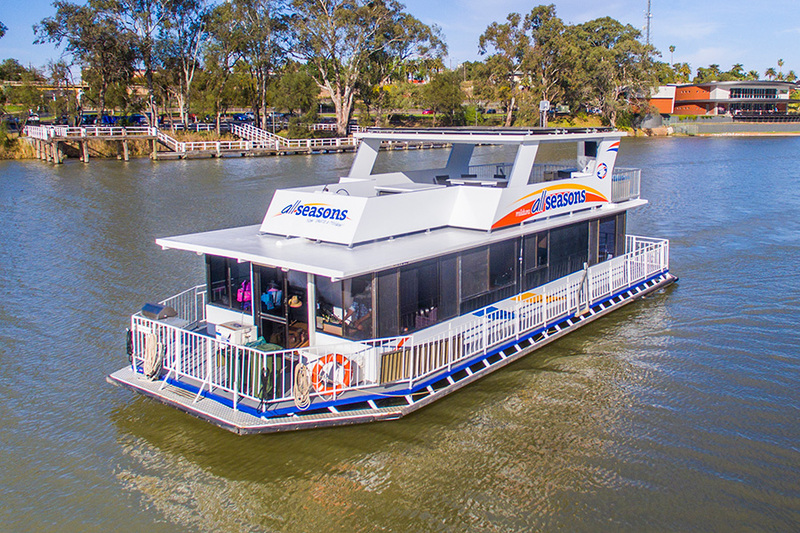 All people have been drawn to the magic of the Murray River that delivers a rare mix of living and diverse waterways with adventure and fun. 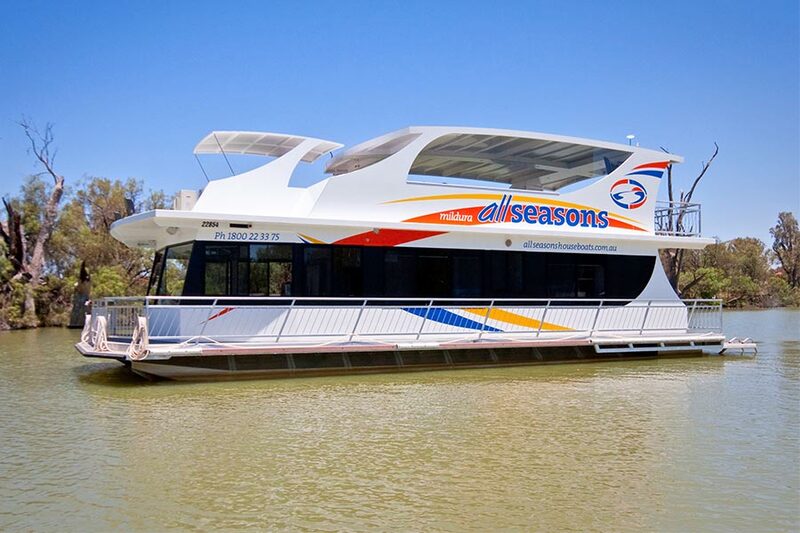 The waters invite you to snooze, swim, canoe, stroll, read, fish, ski or explore on your All Seasons Houseboat. 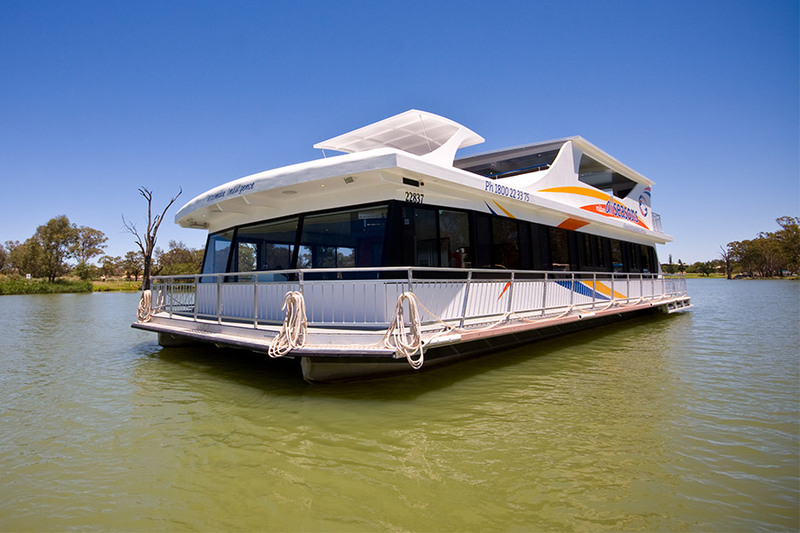 So come on, let’s go and see which houseboat you can discover the river with! 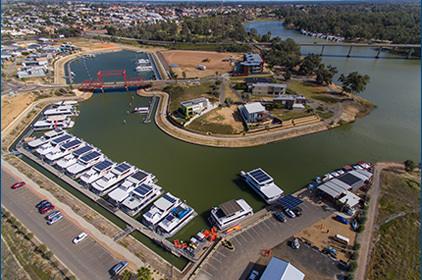 With a fleet of 15 houseboats that feature queen beds, quality linen, roof top spas and helms, gourmet kitchens with dishwashers and microwaves, split system air conditioners, state of the art sound systems and all the creature comforts of home. 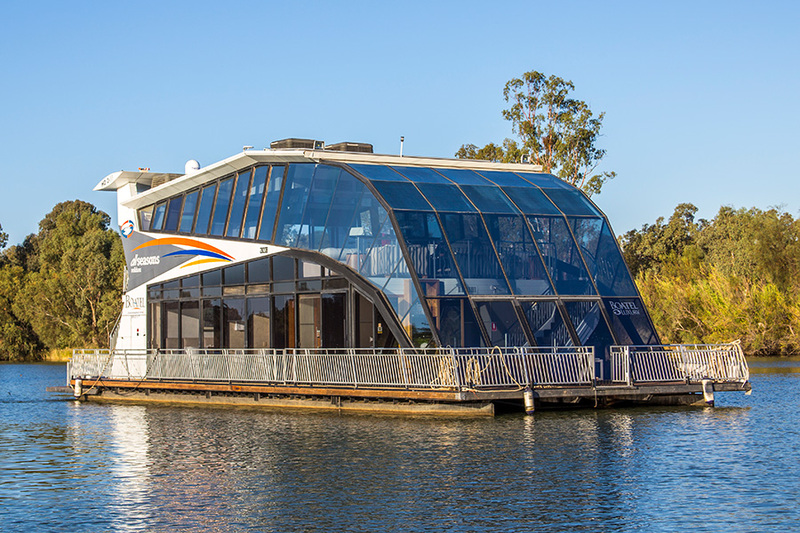 Upstairs feature large rooftop canopies with spa bath, sun lounges, outdoor dining furniture. 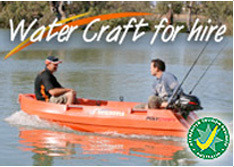 All boats are child friendly which means stress free for the parents. 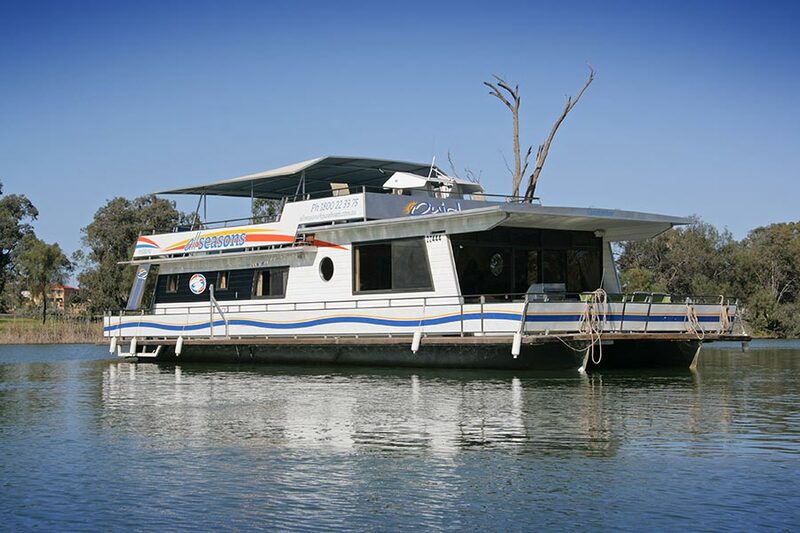 So come on… let’s go and see which houseboat you can discover the Murray River with us! 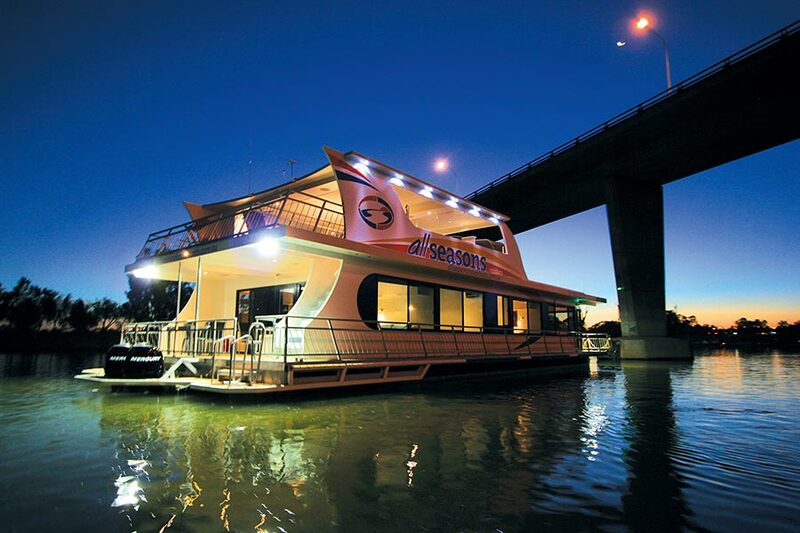 Begin planning your houseboat holiday here.